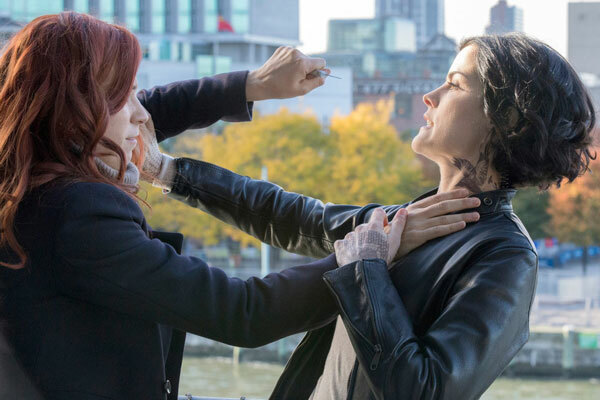 Chrichton's World: My thoughts on mid-season finale Blindspot (s01e10: Evil Handmade Instrument) Spoiler Free! 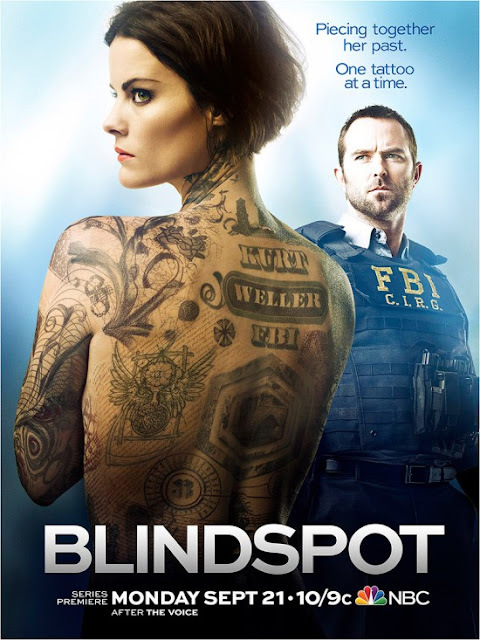 My thoughts on mid-season finale Blindspot (s01e10: Evil Handmade Instrument) Spoiler Free! Oh dear, I have been watching and liking the show right from the start but with this mid-season finale I am fearing the worst. The premise was already pretty ridiculous to start with only now they upped the ante and revealed something that kills off one of the main mysteries that has been haunting the viewer for the entire duration of the show so far. Unless it was a misdirection and there are some other angles to it. But even if the reveal does turn out to be true then I will have to shake my head in disbelief and say that I am completely disappointed. Because truth be told I don't really care about the main mystery that much. I was more invested in the dynamics between the main characters and the actors who are portraying these characters. It was nice to see how a complete stranger (covered in tattoos which seem to tie in to major life threatening cases) being accepted as a team member and doing good. Now the writers of the show will probably take it a step further and come up with twist after twist the one more ridiculous than the other. But even worse they will ruin the one thing I love most about the show. I don't like these 24esque twists and turns. They are done to death and nearly not as effective as the writers seem to think. Furthermore the only reason why I was intrigued in this show in the first place is because I really like Jamie Alexander. This reveal is going to screw up her character and it makes an already hard to swallow premise so much more ridiculous. But I guess I will have to wait how this will turn out. Although I do think that the writers of this show run the risk of losing a lot of their audience. They are obviously overestimating their skills.